One of my favorite summertime activities is strolling through the farmers market, conversing with the vendors and farmers, seeing what local organic produce is in season and available, and using the experience to connect to my community and local food supply.  This deep community connection is often a muse that sparks creativity for some of my recipes. 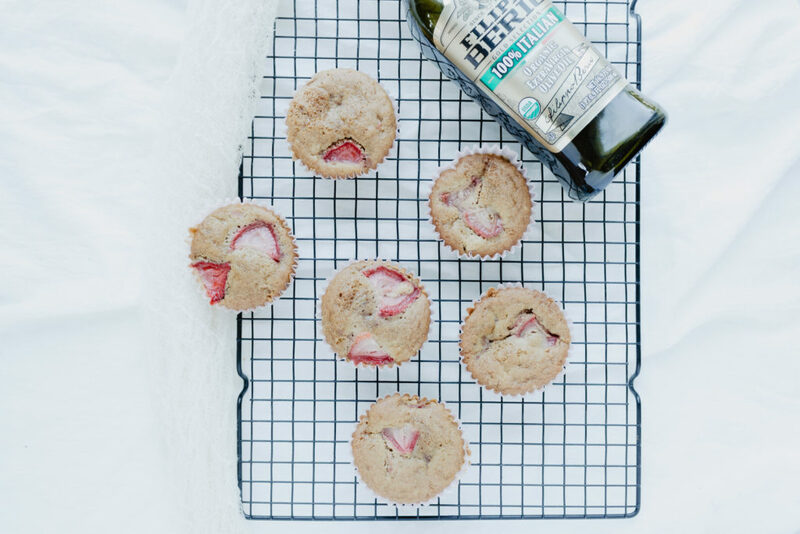 On most weekends you can find me strolling through the Boston Public Market and on a recent weekend trip with Sarah (AKA fitchick428), the local organic strawberries and rhubarb were too good to pass up; thus, the inspiration for these gluten and dairy free muffins was born. Strawberries are a potent medicinal food. 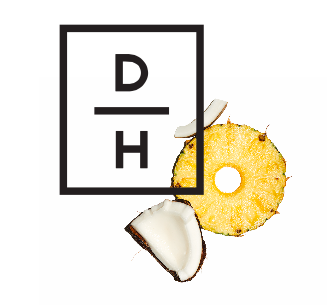 They have been shown to increase HDL (good) cholesterol, lower your blood pressure, and guard against cancer. Strawberries are on the Environmental Working Groups “Dirty Dozen” list, which is the ranking of the 12 fruits and vegetables with the highest concentrations of pesticides, so always choose organic. Rhubarb is packed with minerals, vitamins, organic compounds, and other nutrients. These components include dietary fiber, protein, Vitamin C, Vitamin K, B complex vitamins, calcium, potassium, manganese, and magnesium (source). 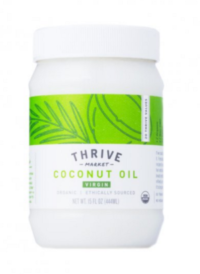 I initially didn’t plan to use olive oil in this recipe, but I ran out of coconut oil and had Filippo Berio Olive Oil in my pantry that I originally intended to use in another recipe. 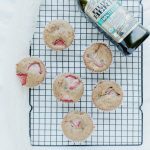 I love creating recipes with everyday products that are already in my pantry rather than making a special trip to the grocery store to buy a specific item, so I decided to give the olive oil a try in this recipe. 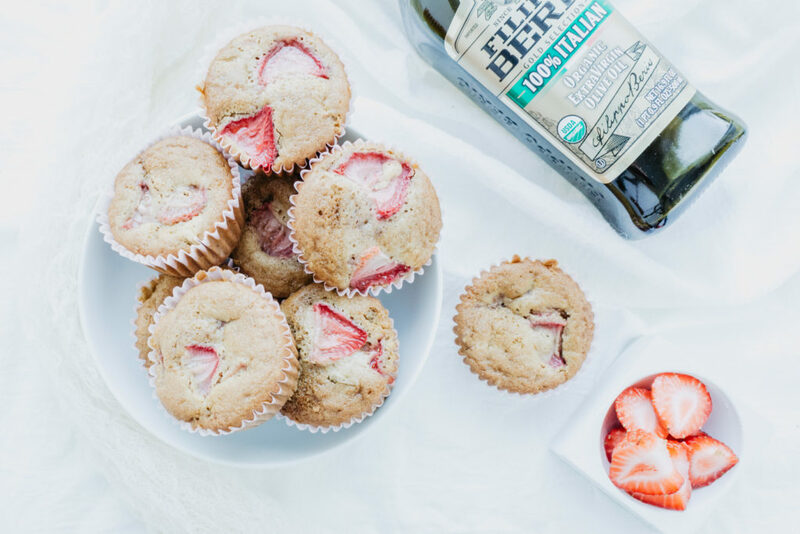 The sometimes bitter taste of olive oil is balanced with the sweetness of the strawberries and coconut sugar in these muffins. Some of the many health benefits of olive oil include its being loaded with powerful antioxidants that may help fight chronic diseases, having strong anti-inflammatory properties, and being a protectant against heart disease by protecting LDL cholesterol from oxidation (source). 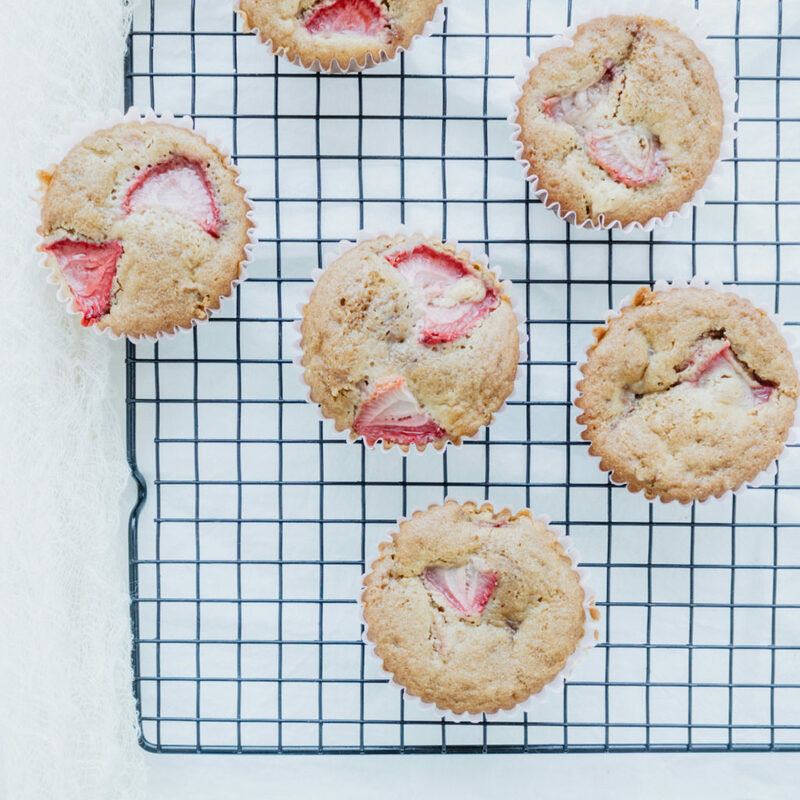 The recipe for these Gluten Free and Dairy Free Strawberry Rhubarb Muffins is below. What are some of your favorite summertime activities? Let me know in the comments below. Mix flour, baking powder, baking soda, coconut sugar, and salt in a large bowl. Combine egg, milk, and oil, lemon zest and vanilla extract in a small bowl; stir into flour mixture with a fork JUST until moistened. Fold in rhubarb and sliced strawberries. Fill paper lined muffin tins 2/3 full with batter. Sprinkle tops generously with coconut sugar. Bake until golden and a toothpick comes out clean, about 22- 25 minutes.